Worthington's Demosthenes of Athens and the Fall of Classical Greece is the first biography of the Athenian politician to be published in English for almost a century. It is aimed at the general public and is written in a clear and engaging style. There are many sections providing basic background information for the non-specialist reader on topics such as the workings of the Assembly, Athenian foreign policy, Greek sexuality and conceptions of homosexuality, and cultural differences between the Greeks and the Macedonians. The book also contains 15 black and white illustrations, a timeline of important events (xv-xix), three maps, a list of speeches relevant to Demosthenes, a short appendix dealing with Athenian coinage and the Attic calendar year (345), and a general index (369-382). To give readers a taste of Demosthenes' eloquence, Worthington spices the narrative with many translations from his speeches. As the dust-jacket states, the book's main aim is to bring 'the great orator's career vividly to life' and to offer 'new insights into Demosthenes' motives and how he shaped his policy to achieve political power'. Fifteen dense chapters trace his career from his first steps as an orator to his suicide after the defeat in the Lamian war. Along the way we encounter three Demostheneses: the first is a sickly orphan with a speech impediment, cheated by his guardians, who manages to become a great political leader and orator. The second is a young man who is ambitious for political success and power, but who lacks strong ideals and has few ideas. He therefore picks his quarrels for selfish reasons in the hope of currying favour with important politicians and the Athenian people. 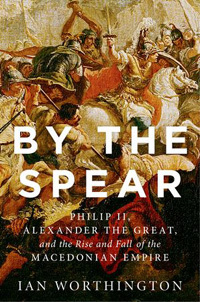 Unsuccessful at first he finds his calling when Philip II starts to threaten Athenian interests and has no scruples in his campaign against him. The third Demosthenes is a patriot who, whatever his shortcomings, is redeemed by the purpose of his actions: preserving the freedom and the independence of Athens against a tyrant. 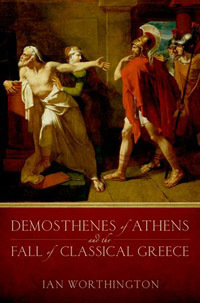 In his narrative, Worthington attempts to do justice to each aspect of Demosthenes' personality. There are however many problems with the treatment of the sources, which is occasionally cavalier and affects the assessment of Demosthenes' political life. First, Worthington does not set any clear methodological criteria to assess the statements of the orators in their speeches, with the result that often the reader is unsure of why a particular statement is considered reliable or not. Moreover, he is not sufficiently critical when evaluating later sources: anecdotes drawn from later authors may be lively but need to be evaluated and compared with earlier sources before they can be trusted as evidence. 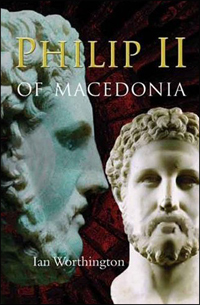 For instance, Chapter 2 provides a portrait of the young Demosthenes which relies almost entirely on Plutarch and a few other late sources, which in turn relied on very tendentious accounts by pro-Macedonian contemporary and Hellenistic Peripatetics. Worthington takes these anecdotes at face value. In particular, he believes Plutarch's assertions that Demosthenes' earliest speeches in the Assembly were ridiculed because of his speech impediments and poor delivery (Plut. Dem. 6.3), and that the actor Satyrus taught Demosthenes the importance of delivery, which made a decisive difference for his career (Plut. Dem. 7.1-5). But can we trust this information? If Demosthenes' performance was so incompetent in his early thirties, how did he defeat his guardians in several cases regarding his inheritance when he was in his early twenties? He was also on the winning side in the case against Leptines in 355. Second, the reader often has the mistaken impression that Demosthenes' political actions and his public speaking can be followed step by step through the surviving speeches. 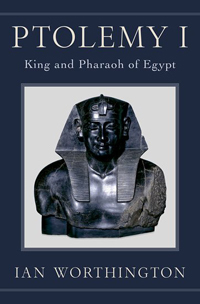 In chapter 5, for instance, Worthington claims that after delivering On the Symmories Demosthenes decided to turn from financial matters to matters of foreign policy. Yet the surviving speeches represent only a portion of those he delivered in the late 350s, and it is arbitrary to decide that the change in themes in the extant speeches must mirror a change in political strategy. When speaking in the Assembly, Demosthenes would have had to address the item placed on the agenda by the Council. The same issue resurfaces even more prominently in later chapters, when e.g. the orator is believed not to have being doing much politically during the reign of Alexander (285-287), on the basis of the lack of evidence and speeches. The third problem is the treatment of the early years of Demosthenes' political career. Worthington can discern no consistent political line in his early speeches: Demosthenes only chose cases that he thought would bring him power and influence. He therefore sees Demosthenes as an unprincipled opportunist who changed his mind about the theorika, initially defended the interests of the wealthy, then sided with the common people, and changed his attitude toward Eubulus. This assessment of Demosthenes' early career affects the overall understanding of the orator as an ambitious individual without clear convictions, who found a cause only when he started opposing Philip. This view of Demosthenes' early career finds no support in the extant sources. Most of Demosthenes' early speeches, while advocating fiscal restraint promoted by a broad political consensus, point out the dangers of neglecting issues that are key to the success of the city and warn against the dangers of short-sighted policies. To give only two examples, the Against Androtion warns against neglecting the fleet, which would put the city in danger; the Against Aristocrates shows that the decree for Charidemus not only violates the rule of law but also will limit the city's future options in foreign policy regarding Thrace. Worthington also claims that Demosthenes in the Against Leptines advocates a tax-break for the rich, while later he passed a reform of the trierarchic symmories that transferred more of their burden to the wealthiest (Dem. 18.102-9). This would be another sign of his opportunism. Yet it is hard to see how keeping honorary ateleia would be a tax break for the rich, and taking it away a popular measure: only 1,200 Athenians, around 4% of the adult male population, were liable to liturgies, and there is no guarantee that all ateleis were among these 1,200. At the most, the abolition of ateleia would have caused a slight redistribution of the liturgical burden among the richest 4%, but would have had no effect whatsoever on the rest of the population. Given these problems, one wonders whether this picture of an ambitious and unprincipled young man actually matches the evidence. This is not to say that Demosthenes was not concerned with self-promotion, or that he was an uncompromising hero. He was a politician. But the standard set by Worthington in the early chapters seems unrealistic: every politician, even when he fights for a just cause, must be somehow convinced that he is the right person to make his cause win, otherwise he would let others fight. Demosthenes' early speeches are evidence of his strong democratic convictions, and of his concern with Athenian standing in the Greek world. So the general picture of an ambitious man who did eventually find a just cause, but was previously exclusively concerned with his own ambition, is based on superficial understanding of the early speeches. The last English biography is Arthur Wallace Pickard-Cambridge: Demosthenes and the Last Days of Greek Freedom, London 1914; Raphael Sealey: Demosthenes and His Time: A Study in Defeat, New York 1993. 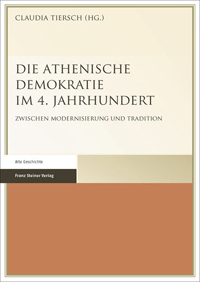 Sealey is more concerned with Athenian politics in the fourth century than with Demosthenes' career in particular, which is dealt with in only half of the book. For a clear and sensible set of criteria for assessing what the orators say see Edward Monroe Harris: Aeschines and Athenian Politics, Oxford 1995. Cf. e.g. Craig Cooper: Philosophers, politics, academics: Demosthenes' reputation in Antiquity, in Ian Worthington (ed. ): Demosthenes: Statesman and Orator, London 2002, 224-245. Cf. for a sensible account of Demosthenes' concerns in his early speeches Edward Monroe Harris: Demosthenes. Speeches 20-22, Austin (TX) 2008, 6-13. Cf. e.g. Mogens Herman Hansen: Demography and Democracy: the number of Athenian Citizens in the fourth century B.C., Herning 1986, 9-13, 64-9 and Mogens Herman Hansen: Studies in the Population of Aigina, Athens, and Eretria, Copenhagen 2006, 19-60. Douglas Maurice MacDowell: Demosthenes: The Orator, Oxford, 2009.